Children 12 and under are free for this event. 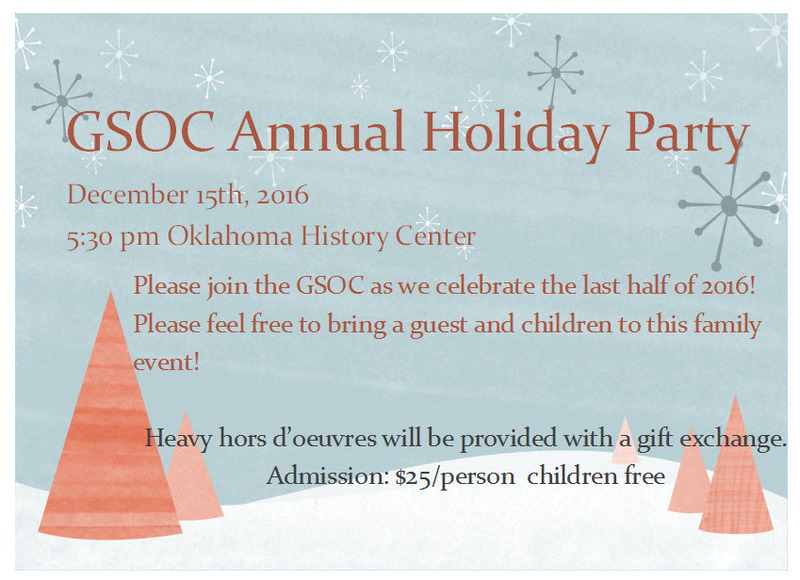 Please join the GSOC for our annual holiday celebration. Heavy snack foods will be provided and a bar will be available. Our tradition of receiving gifts as part of this dirty Santa event will continue this year! Please come alone, or bring your spouse and children. All our welcome to help celebrate.